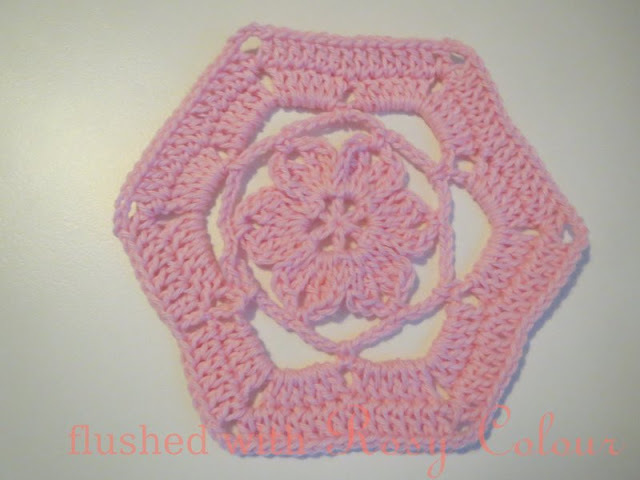 This hexagon starts off as Heather's flower, which I have named after my mum who was my first crochet teacher. It could make a doily, or join several together to make a rug. Please let me know if you like it!